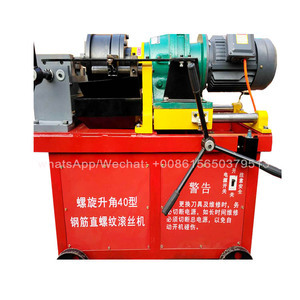 Wood thread roller 1. 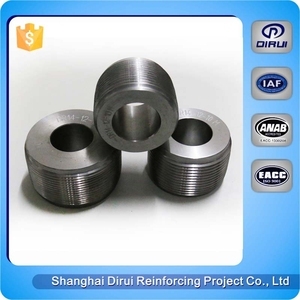 It can make thread on rebar end by cold rolling, which will enlarge the strength of the threaded rebar. 2. 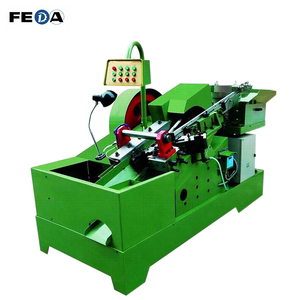 Easy operation: Each size rebar with one rolling head, changing the rolling head size when rolling the different diameter rebars. Office Location: Shanghai Factory Location: Changshu, Shanghai, Shandong Year Established: 2003 Company Employees: 300 Facotory Area: 36000 square meters Registration No. 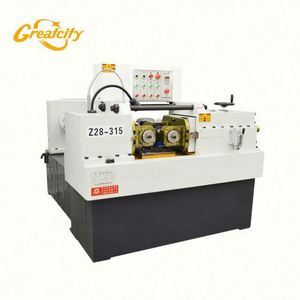 Relying on its easy operation, reasonable structures and reliable performances, this machine has gained broad markets. 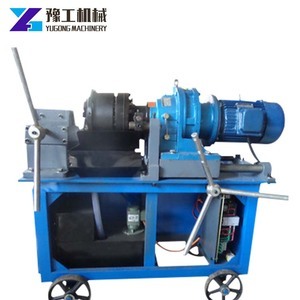 Workshop show pedestal electrical machinery Needle cycloidal wheel reducer We are a large enterprise integrating production, sales and after-sales service. All related equipment is produced by itself Our company became the focus of the trade fair A chance encounter I met an old friend at the guangzhou international exhibition . 2. 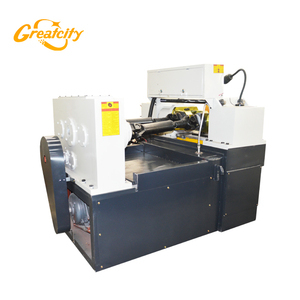 If customer visit our factory and check the machine, we will teach you know to install and use the machine. 3.Without visiting, we can send you user manual and video to teach you to install and oprate. B: After the warrantee time,we can supply materials or teach support to you for reducing the cost of you. What kind of packaging you offer9 We will pack the goods well with exporting packages to make sure all goods in a good condition during storage and delivery. What kind of transportation methods you offer9 We always transport by sea for the goods with large quantity, and we will confirm freight with buyers' prior delivery. 4. for reducing the cost of our customers, we can supply the materials or tech support to them, help them fix the problems in their hands . 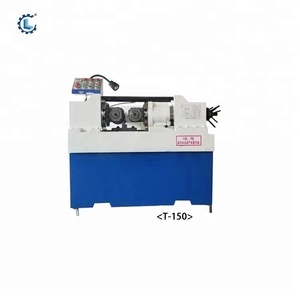 Changge Deleixi Machinery Equipment Co., Ltd.
1) How can I place order9 A: You can contact us by email about your order details, or place order on line. Before production has been finished, we will contact you for shipment details, and the balance payment. If there are some defective items, we usually credit to our customer or replace in next shipment. 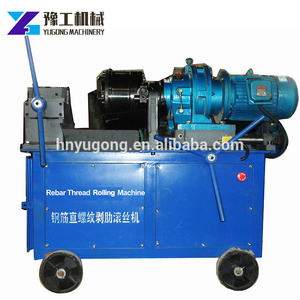 Alibaba.com offers 518 wood thread roller products. About 57% of these are thread rolling machines, 1% are material handling equipment parts. A wide variety of wood thread roller options are available to you, such as free samples, paid samples. There are 519 wood thread roller suppliers, mainly located in Asia. The top supplying countries are China (Mainland), Malaysia, and India, which supply 98%, 1%, and 1% of wood thread roller respectively. 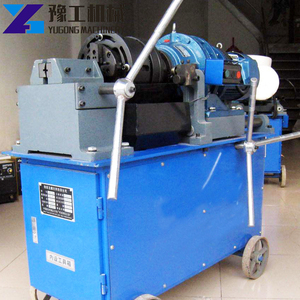 Wood thread roller products are most popular in Southeast Asia, Mid East, and North America. You can ensure product safety by selecting from certified suppliers, including 71 with ISO9001, 44 with Other, and 3 with FSC certification.